After the runaway success of Get Out, writer/director/producer Jordan Peele is now tasked not with proving a comedian can make a well-received horror movie, but with showing that his first hit wasn’t a one-time deal. Aside from signing on for roughly a bazillion other creative projects, Peele’s set to face down the dreaded sophomore slump very soon with Us, another thriller set to release this March. In a profile by Rolling Stone’s Brian Hiatt, Peele discusses his long career, from making amateur movies as a teen and creating and starring in sketch series Key & Peele to becoming an Oscar-winning filmmaker. 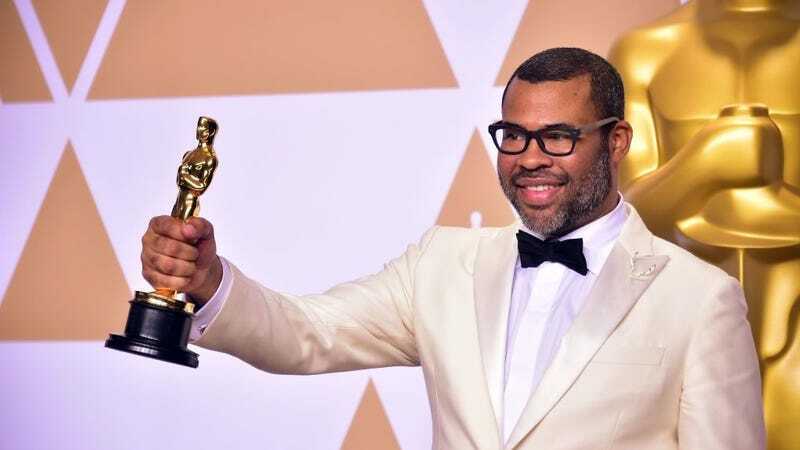 One particularly interesting point comes when the conversation turns to how Peele tackled the daunting task of following up a feature-length directorial debut as widely praised as Get Out. The entire interview is filled with fascinating insight into Peele’s creative process and artistic background as well as discussions on the origins and cultural impact of Get Out. It also takes place while Peele is visiting Universal Studios Hollywood, drinking butterbeer, and going on the Harry Potter ride, so, if all the rest wasn’t enough, know that the story has that going for it, too.